I guess December is about time snow starts cropping up all around Europe and not just in the places where white is the natural color to have. 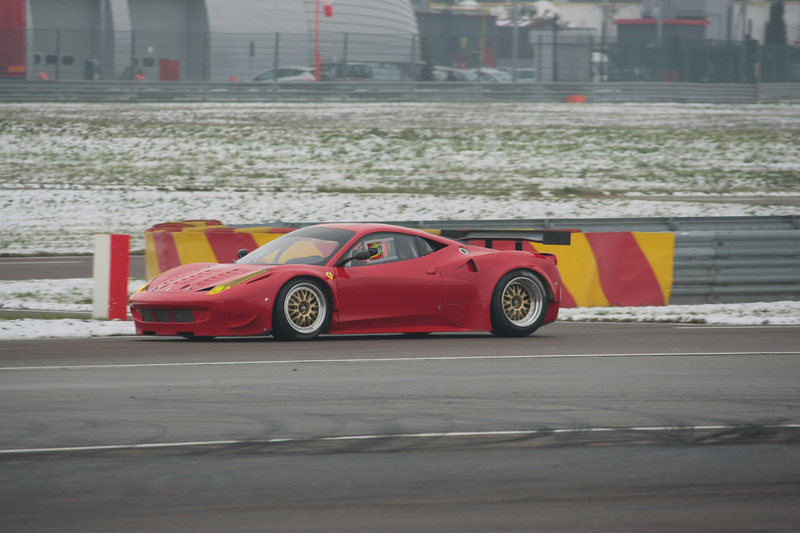 That list of places recently swamped in snow includes Italy, this however hasn’t put Ferrari off from testing out the 458 GTC. 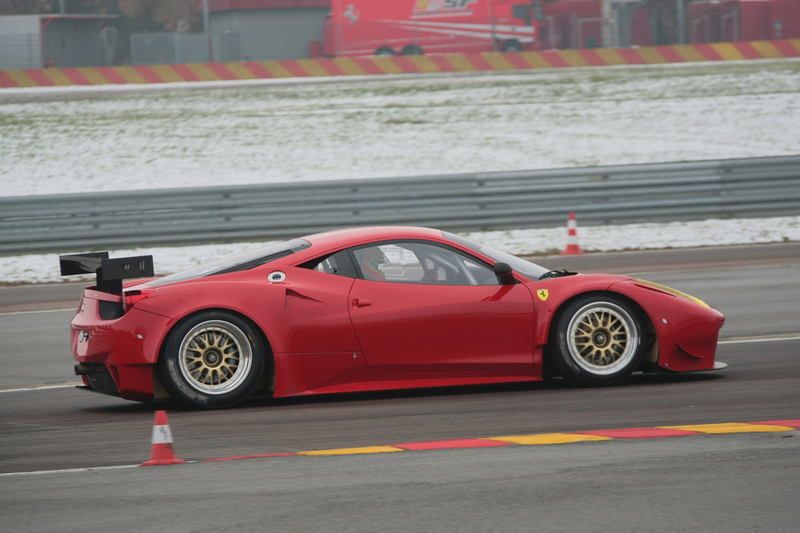 In their defense, the Ferrari 458 GTC is a racing version of the street going 458 Italia. 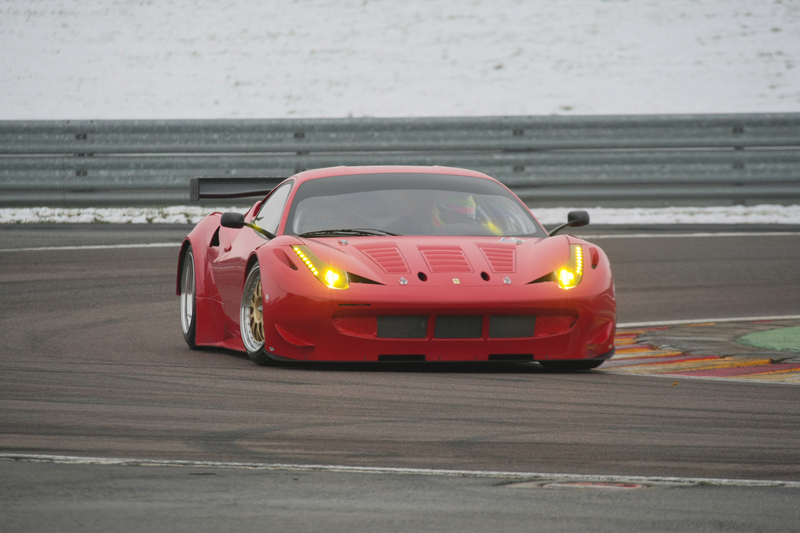 Another important aspect of the 458 GTC is the fact that it will be racing in endurance racing so this means that the car has to be ready for all sorts of conditions. I mean i knew FIA regulations have changed lately but racing in the snow still seems unlikely. Sadly we don’t have any petrolheadish tasty figures on the Ferrari 458 GTC but I’m pretty sure it won’t disappoint. The testing seen here feature former FIA GT class champion and two-time Le Mans class winner, Jaime Melo. According to Ferrari, the 458 GTC is nothing if not a gem to come from the Scuderia’s stables and it will be getting a debut at the Sebring 12 Hours race in the American Le Mans Series where it will be replacing the Ferrari F430 GT2.